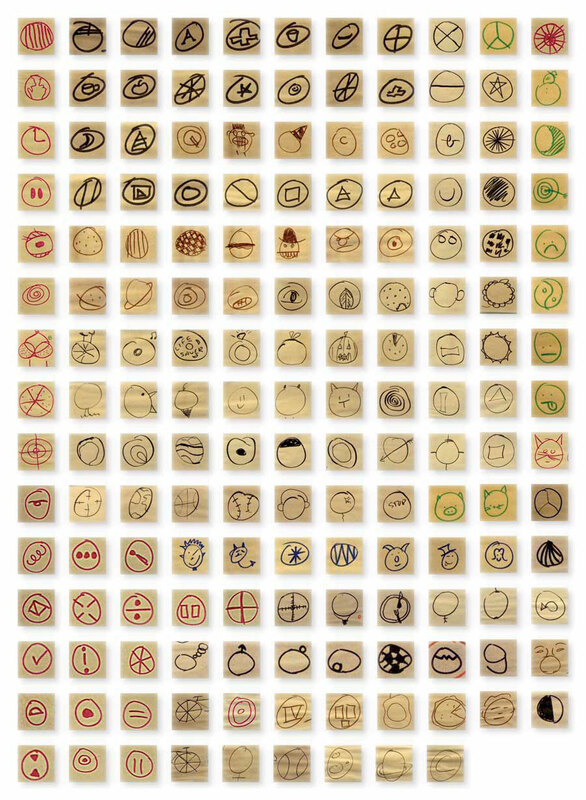 The task given to everyone in the workshop portion was to draw out 30 circles and within five minutes have each one represented as a unique visual entity. I was enamored with the thought processes of each individual in the room, their various talents, knowledge and personal interests that lead them to draw their unique sets. The following is an amalgamation of a limited set of everyone’s work that I pieced together into the grid below. Of course the set of circles that can be created are infinite and the circles themselves, drawn by human hand are also unique. But I just can’t help but enjoy the sameness of the group juxtaposed with their individual characteristics. This entry was posted on 2009.06.12 at 4.00 pm and is filed under Design. You can follow any responses to this entry through the RSS 2.0 feed. You can leave a response, or trackback from your own site.